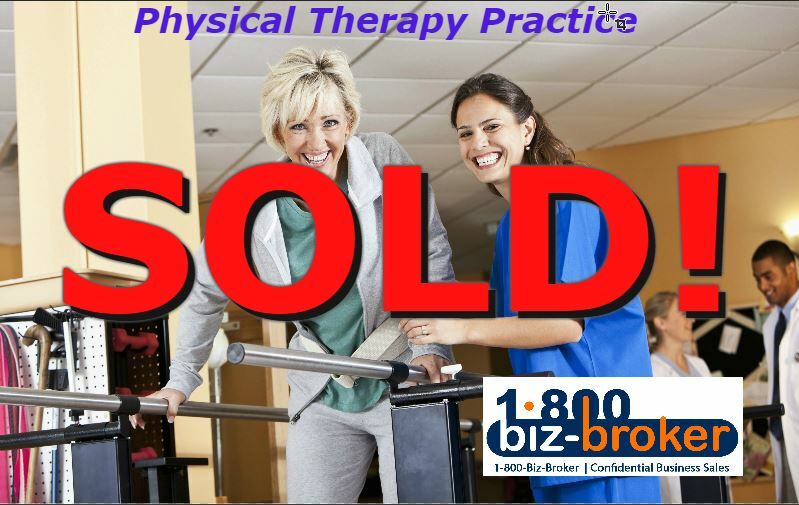 Happy to announce that we have just SOLD a Physical Therapy Practice in Orange County! Of the 100s of inquiries I received, it took about 10 months to find the right buyer for this business. More importantly, we received over 18 qualified buyers looking for this type of business. An honest opinion of value, based on numbers and actual sales for comparison. No pressure or obligation to move forward with a listing. No cost for the business valuation. If you do decide to list your business; I have actual, qualified buyers looking to buy. Please give me a call in confidence or send me an email, I will be happy to answer any questions. Physical Therapy Practice for sale. Excellent opportunity for a Physical Therapist to take over a thriving practice or as an acquisition by a larger group. Owner is ready to scale back and semi-retire. Established over 7 years ago, this practice has been built offering quality care and superb professionalism. The office sees on average 75 patients weekly, with the ability to grow to 125-150 patients per week without sacrificing patient care. Great relationships with referring physicians. Excellent web presence, plus 5 Star reviews on Yelp, and professionally designed website. Almost all patients are covered by insurance, about half are Medicare. Specialties include: rehabilitation after injury, post-operative care, osteoporosis programs, Parkinson’s disease treatment, lymphedema treatment, pelvic floor management/Incontinence management, & oncology rehabilitation. This business is represented by Spectrum Business Advisors. Please contact a Business Broker at 1-800-Biz-Broker for more information.